Our experienced team are committed to providing a caring and professional service. We know that concerns about a beloved pet’s health can make visits to the vet stressful and onerous. The understanding staff at St George’s will strive to provide reassurance and comfort for both you and your pet at each visit. Our aim is to constantly exceed our clients’ expectations. We are always happy to help in any way we can, including carrying your pet food or cat baskets out to your car. Please do not hesitate to phone the practice with any query regarding your pet’s health. We are happy to offer advice over the phone or to book an appointment at your convenience. Emily qualified as a veterinary surgeon in 2001 from Cambridge University, where she also obtained a first class degree in Zoology. After a year in a rural mixed practice, Emily made the decision to specialise in small animal medicine and surgery. She has worked as the senior vet in two practices in Greater London and has practiced in Weybridge since 2007. Emily is interested in all aspects of veterinary medicine and surgery and has obtained several postgraduate qualifications. She aims to offer her clients a highly empathetic and compassionate service for their beloved animals. Due to her working hours, Emily only has one pet at the moment, a rescued, one-eyed, ex-polo pony called "Zoom"! She and her husband are looking forward to owning a working Labrador when time permits. James graduated from the Royal Veterinary College in London in 2009. After graduation he spent a year at the RSPCA hospital in Manchester before moving back closer to London and he has worked in Surrey for the last 7 years as vet and senior vet. James enjoys all aspects of small animal practice but has a keen interest in skin disease and particularly enjoys surgery. He understands that visits to the vet can often be very stressful for both pets and their owners and enjoys taking time to explain things in a calm and rational manner. He has a very noisy and greedy cat called Elmo who he rescued from the RSPCA and has been his constant companion ever since. He can smell roast chicken from about 2 miles away and enjoys waking people up at 5am. Fern’s love for Veterinary Dentistry started when she was living and working in Singapore with her young family and things consolidated when she moved back to the UK. She trained further in Dentistry in the USA and more recently went to Sweden to train in Advanced Dentistry. Henrietta is a qualified RVN who has worked within the veterinary industry since 2012. She holds a certificate in Veterinary Oral Care and is currently working on her Emergency and Critical Care specialist certification. Hen loves to travel and combines her love for animals with her wanderlust! She has worked on various neutering projects around the world and has just about managed to return empty handed! Hen is mum to an array of pets; she has two dogs (Dafty a scruffy terrier and Arnie a naughty Saluki) plus two Chinchilla's (Ben and Snowdon), two rats (Edmund and Tenzig) and a leopard gecko called Spoppy. Plus a long-suffering boyfriend! Hen won the prestigious, national Pet Plan Award for Best Veterinary Support Staff in 2014 and has been nominated every year since then! Leanne has been a qualified veterinary nurse for 10 years and brings a wealth of experience to the role. She is incredibly compassionate and is always happy to offer advice and reassurance to owners. 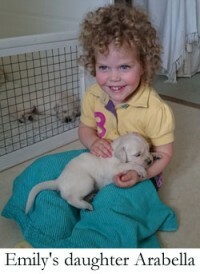 She is keen to start nurse clinics and puppy socialisation classes and to get to know all the wonderful clients. If your pet is admitted for the day she will ensure that they have the best care and will always treat them as if they were her own. She has a much loved elderly cat 'Dumbledore' and a West Highland Terrier 'Mollie', so understands how much your pet is part of the family and how worrying it is when they become ill. Therefore she will always endeavour to make your visit to the vets a positive one. Leanne lives locally to St Georges Vet Centre and offers a cat visiting service to care for your pet in your home whilst you are away. Valerie is a Registered Veterinary Nurse with over 30 years experience and for the last 13 years she was Head Nurse at an independent veterinary practice. Valerie always takes pride in ensuring the highest standard of care and understanding for both patients and clients alike. Over the years, she has developed an interest in animal psychology and behaviour, particularly in cats. Currently Valerie has two cats called 'Caleb' and 'Bumble' who keep her highly entertained with their antics! Kim has been working in the veterinary industry for 14 years, being a registered veterinary nurse for the last 9 years. Most recently Kim has been working in a referral practice specialising in orthopaedics and neurology. Over the years Kim has developed an interest in emergency and critical care nursing and has gained a certificate in this subject. Kim understands how nerve-racking visiting the vets can be for both you and your pet so is always keen to reassure and give advice where needed. She will always treat your pet as if they were her own and ensure they receive the highest standard of care. Kim has a cat called ‘Pip’ who is a feisty little girl. Pip likes to snuggle up on the sofa in the evening once the coast is clear and the toddler is in bed! Jasmine joined the practice as a receptionist in 2016, she is very passionate about animals & loves meeting all the different animals & clients, she enjoys hearing clients talk about the funny antics their beloved pets get up to, she knows only too well due to owning two wonderful cats of her own Trevor & Crabby who keep her busy and entertained.